A while ago I read a "challenge” to blog about what I want my (future) children to learn. (Scrapbookers seem to like “challenges” to help us to create or write something new or to get us out of a rut.) 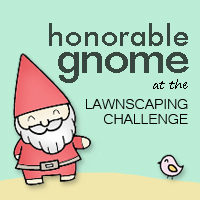 I thought it was a neat challenge, but I did not sit down to write an entry. Unconditional Love: No one is perfect, and we will all make mistakes. Love your family unconditionally. Make Your Own Way: I know that my children will be their own unique individuals. I want them to be able to develop their own talents and be their own people. Find The Love of your Life: I am not necessarily a big believer in soul mates, but who you choose as a partner is so important. That person should be the love of your life. Keep Going Through the Rough Times: Life will present you with challenges. The important thing is to do your best and keep going. Love to Learn: To truly be a life long learner, you have to fall in love with learning. Work Hard: Hard work will pay off in the long run. Find work that you can be engaged in. Find Hobbies You Enjoy: While working hard is important; it is also important to enjoy your time outside of work. It is really about the Journey, not just the Destination: Sometimes we are in too much of a rush to get to a destination. The real value is often in the journey.